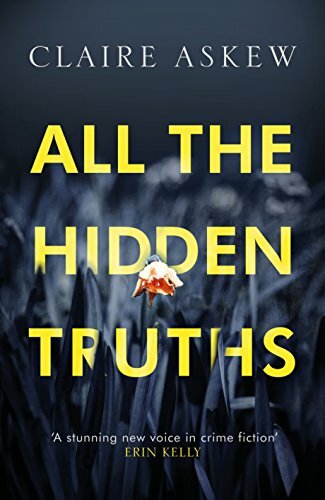 All the Hidden Truths by Claire Askew is a powerful psychological drama and it focuses on a very topical subject which has sadly been in the news very recently. I read this novel shortly after the school shootings in America earlier this year which was still very fresh in my mind as I was reading. We meet three characters in this book: Moira Summers, Ishbel Hodgekiss and DI Helen Birch and the novel is told from their perspectives. The three women whose voices we hear from are very different and until the events that take place at the start of this novel occur, they have never come across each other. But beyond the pages, the lives of two of the women will be linked forever by the tragedy they are scarred by. No one knows why Ryan Summers took it upon himself to enter the Three Rivers college campus and murder thirteen young women and then turn the gun on himself before the police had the chance to apprehend him. What could drive someone to commit such an abhorrent, cowardly act? DI Helen Birch has recently been promoted and she is handed the complex case. She knows that the weeks ahead aren’t going to be easy for her community, especially for the families of the victims, and the angry public, who desperately need answers. The characterisation in this book is superb; the author takes us to some very dark places in the minds of some of the individuals in this book which made it a compelling page-turner. It is very much a whydunnit as the police and the families of the victims try to work out what caused Ryan to murder so many of his fellow pupils. Claire Askew explores some interesting themes, including the dangers of social media and freedom of the press. It also examines the public’s perception of tragedy and what happens when people willingly express their feelings and opinions online. One journalist in particular really got under my skin, his character brought to mind the Leveson enquiry which took place in the UK several years ago and it made me angry to think that this is the way how some members of the press behave. I was interested in the fact that Claire chose to set the novel in Edinburgh as gun crime, particularly on a mass scale is rare, even un-heard of in the UK. Choosing to set her novel here in this country must’ve required a great deal of research, it would be fascinating to find out more about why she decided to write about this particular crime and how she went about her research. This was a gripping debut which introduces an exciting new voice in crime fiction. If you’re looking for a psychological thriller which leaves plenty of room for thought then I highly recommend this book. Thank you to the publisher and to Netgalley for providing an advance review copy.